Italian brand's new gloves developed by GP250 rider Alvaro Bautista. 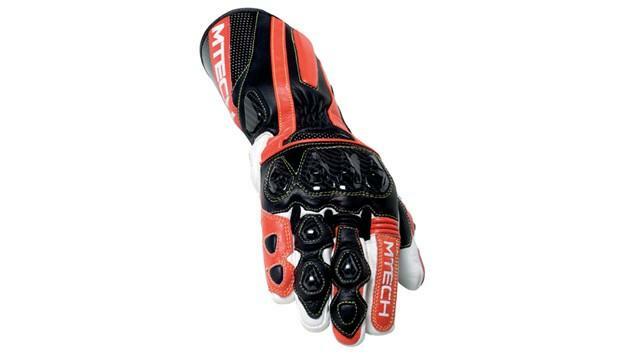 M-Tech have just released this new glove to their extensive range. Called the Podium, it's been developed by GP250 rider Alvaro Bautista and features full-grain cowhide leather, reinforced seams, a wide carbon fibre protector on the side and anti-slip inserts on the palm. It's a good-looking glove and appears to be well-made with quality materials and finish. We'll get them on test and write a full report up once they've been put through their paces. They retail for £129, which is up at the sharp end, so you better hope they're good.